Local golf communities offer residents 18 holes and then some. The game, the clubhouse, and the pool are bedrock amenities of most modern golf communities. But it’s the perks not included in slick sales brochures—things like fly-fishing trout-stocked water hazards before the first tee time or weekly guided hikes into the mountains surrounding the manicured fairways—that prove the building blocks of community, not to mention how they make living the golf lover’s dream that much sweeter. Two years ago Ann and Mike Fiery moved from West Virginia to Red Ledges (redledges.com), a stunningly scenic golf community hugging the foothills on Heber City’s eastern flank. Not golfers, the empty nesters wondered how they’d make friends in their new home. Guided hikes, organized by Red Ledges Activities Coordinator Stephanie Potempa, have both put the Fierys in touch with like-minded folks and exposed the couple to some of the Wasatch’s most classic routes: the past two years’ training hikes have culminated in a late-summer summit of Mount Timpanogos. “I wouldn’t have done it on my own,” Mike Fiery says. And along the trail the Fierys made friends they see again and again at other Red Ledges gatherings. Over at Promontory (promontoryclub.com), located just east of Park City’s Silver Summit neighborhood, the smorgasbord of unsung amenities includes ladies’ game nights, a men’s poker night, and wakeboarding on the Jordanelle Reservoir from the club boat. 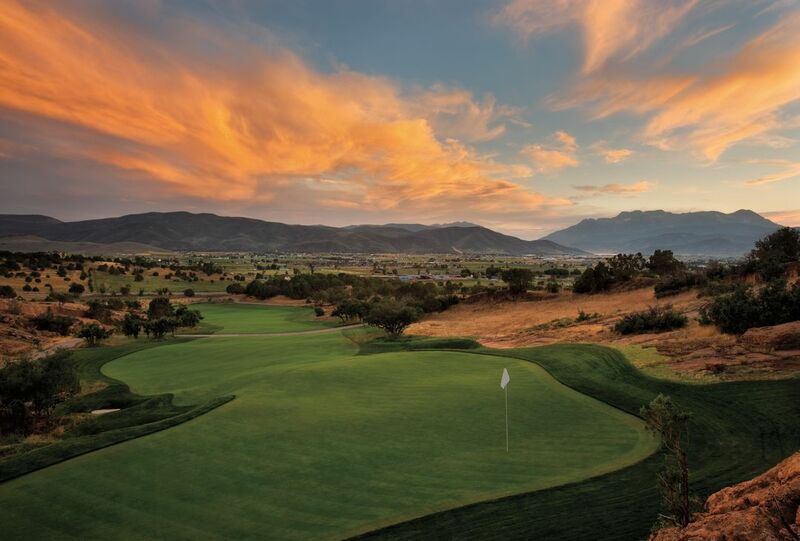 “By offering Promontory owners things to do other than golf, we make it easy for them to get to know other members of the community,” says Beth Armstrong, Promontory membership director. “It’s like an expat community,” says a New Jersey transplant passing through Promontory’s clubhouse on her way to a yoga class. Year-round residents, Armstrong adds, provide the continuity. Eastern Summit County’s Victory Ranch (victoryranchutah.com) has four miles of river running through it, and fly fishing and tubing on the upper Provo are obvious must-dos. Five stand shooting (a type of shotgun sport shooting), two large outdoor camping yurts, and upland bird hunting also build connections among owners. Director of Sales Jim Moran adds that the property’s close proximity to the Jordanelle allows quick access to a private launch where kayaks and stand-up paddleboards await members’ use. Glenwild Golf Club and Spa (glenwild.com), tucked into the hills just north of Kimball Junction, holds the distinction of best Utah links from Golf Digest magazine. A favorite perk here is early-morning fly-fishing on golf course ponds and connecting streams stocked with trout. And with golf membership capped at 325, “the intimacy of the club is another of the hidden amenities. The staff knows who you are. We hear members say, ‘That’s really important to me and my family,’” says General Manager Mike Wydra. Though foreclosure proceedings were initiated last winter against several Talisker firms, including Tuhaye Golf (talisker.com), Tuhaye General Manager Brian Straight says, “It’s business as usual. The club is healthy on its own.” Tuhaye owners will continue to access the 2,300-acre Talisker Club playground behind Deer Valley, enjoying a near-endless list of activities from snowshoeing and snowmobiling in the winter to mountain biking and catered family camping dinners in the summer. Straight says waterskiing on the Jordanelle, preferred dining privileges at Talisker on Main, and poolside “dive-in” movies keep the membership busy as well. No matter how it’s sliced, hidden amenities at golf properties are par for the course.